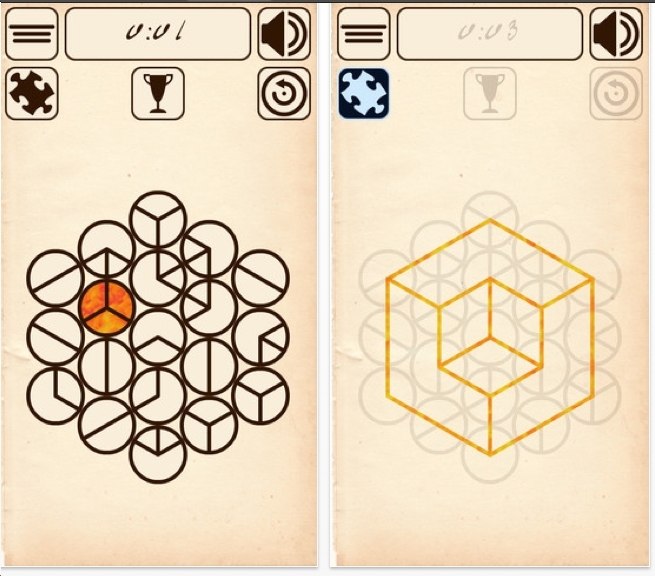 Thomas Visser recently contacted me from the Netherlands about his new puzzle game app: Turnacle. Look at the first image: your objective is to rotate each circle - using 90 degree turns - so that adjacent colors match. The puzzles go from very simple to very big. Although the very big puzzles aren't necessarily so hard. At the 'classic' level: you must solve 10 puzzles as rapidly as possible. Turnacle is free for a limited time, so give it a chance. We've seen edge-matching puzzles many times. The maker of Zoki, promised to give me a slew of puzzles once if I could solve 1 of his hexagonal edge matching puzzles. I did and then used the free puzzles for good trades. 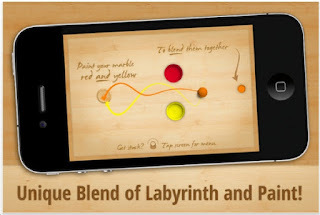 Blendamaze is a free puzzle dexterity game app. First, you are given a white ball. Roll it into the red ink and then roll it onto the small red target. I did all the 15 free levels. What I particularly liked was watching the colored path that each ball took. I think Blendamaze would be particularly appealing to kids. There is a logical puzzle element: when a ball enters a color, it will emerge from one of several holes. But these types of puzzles really amount to trial & error. 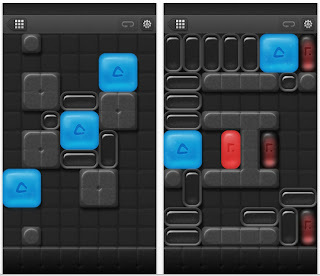 Unblock Red is the first ripoff of ThinkFun's Rush Hour in 2013. I'm guessing there will be at least 10 other ripoffs. This particular version: I did 5 of the hardest levels. They were all essentially the same. Skip this! Go for the real McCoy. 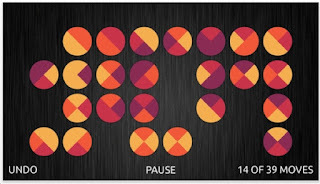 Dflux seems like a 'connect the pipes' puzzle game app. Yes and no. 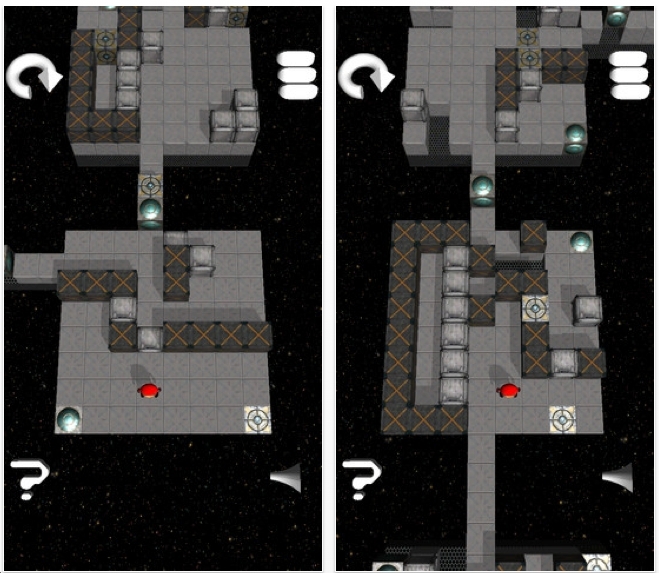 Yes, because you must rotate the pipes in each place (no swapping). No, because there is a mixture of colors which can be tricky. I've played the Lite version of Dflux which offers about 10 free levels from each category of difficulty. 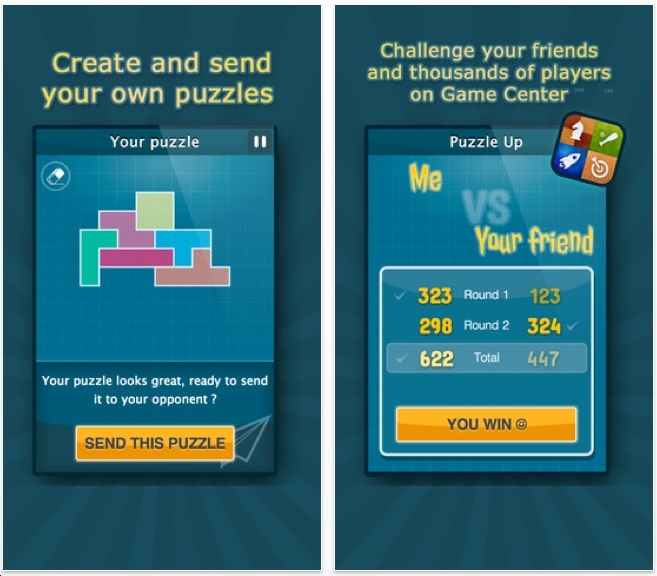 Ivan Schneider recently contacted me from France about his new puzzle game app: Puzzle Up. The concept: take some blocks and put them together to form any shape. Then send it off as a challenge to your friend, who will then send you a challenge. You can also play multiple games at the same time. 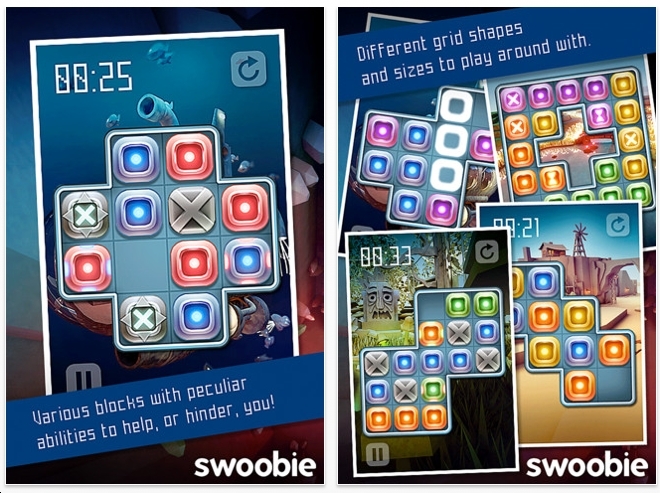 Puzzle Up is free. I see this being a good game for family members. Related side note: I have seen countless 'fill the tray with the given pieces' puzzles at International Puzzle Parties. Right now I'm weeding my collection of them. But not all of them. Some are gems. 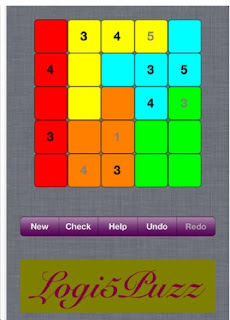 Logi5Puzz is a free puzzle game app from Hui-Min Lu. It is simlar to sudoku and is essentially a Latin Square. Each color region must have the #s 1-5. Same for each row and column. 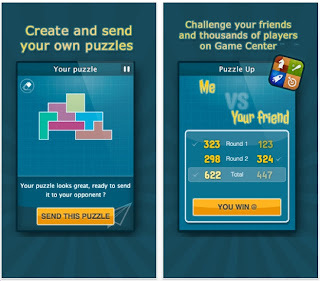 Logi5Puzz is not new, but it is fast and free. Good for young puzzlers. 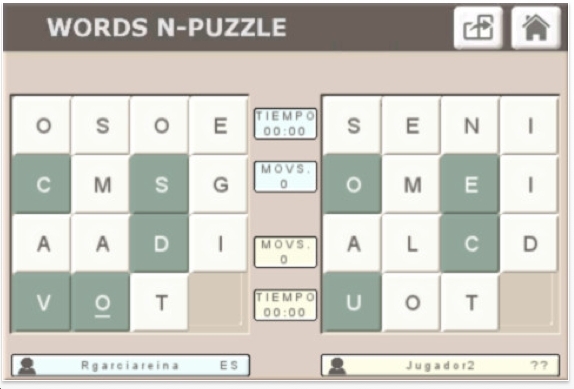 Rogelia Garcia recently contacted me about his new puzzle game app: Words N-Puzzle. You are given a grid of lettered tiles with 1 blank space. Arrange the tiles to form words horizontally. 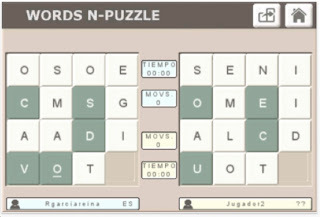 The game can be played in English, Spanish, German and French. You can play by yourself, or you can play against a friend. 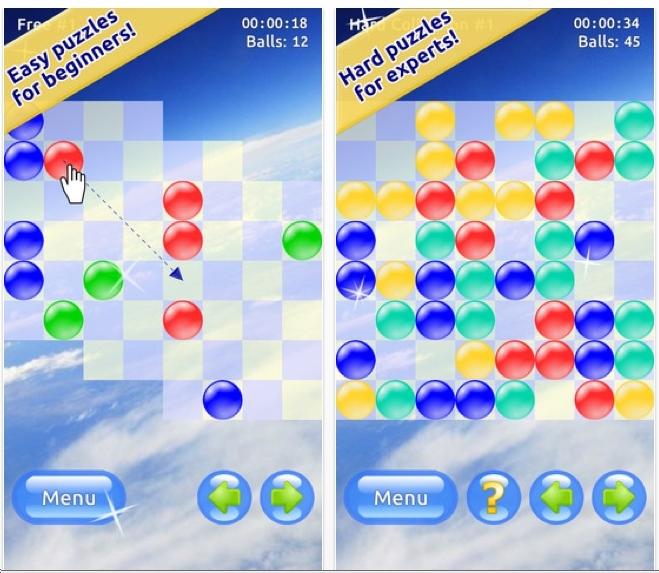 Jelly Blocks comes from Michael Le. 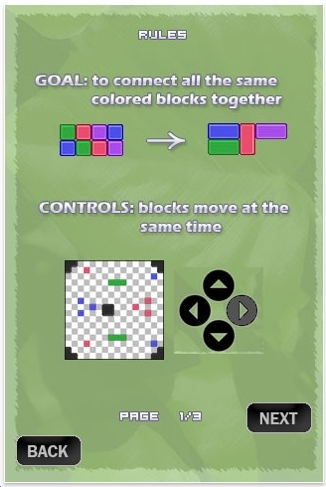 It's a bit like sokoban: move the objects so that all the blue squares connect. Then do the same for the other colors. All the shapes move simultaneously, one step at a time. The black shapes never move. The purple shapes have to be pushed by another piece. 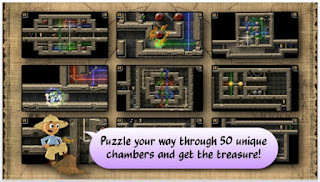 There are 96 levels and most of them have multiple solutions. That's okay. Some of them will get you thinking. I've solved all of them. 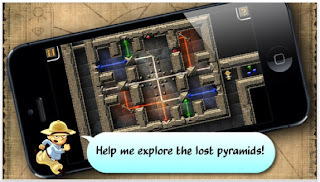 I'm hoping that Michael or another puzzle app designer will produce more levels. 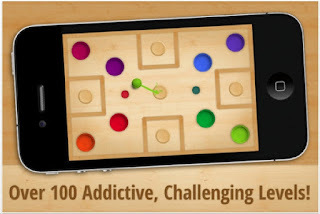 Bottom Line: Jelly Blocks is a free fun puzzle game app - absolutely worthy of your time. Jelly Blocks came out in 2008, however, since I only just discovered it, it qualifies for the List of Best Puzzle Apps of 2013. 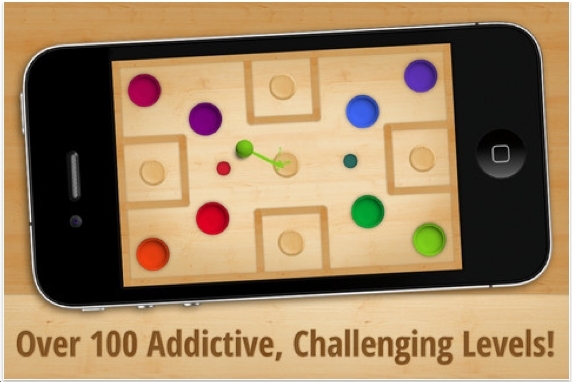 Michael Barlow and Konstantin Kolobov recently contacted me about their puzzle app game Reball. 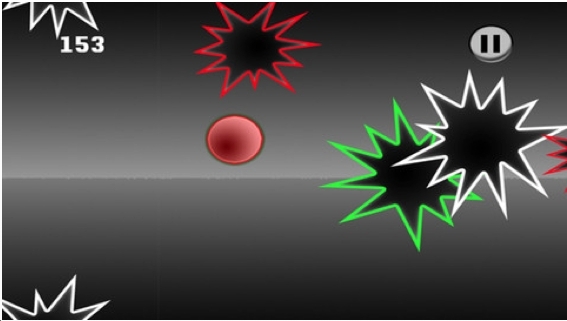 The object is to slide balls to form a line of 3 or more to make them disappear. 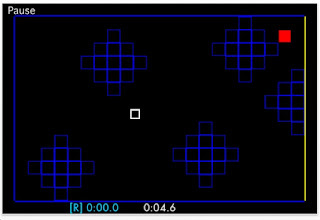 The final object is to remove all the balls from the screen where each move leads to a line that eliminates some balls. 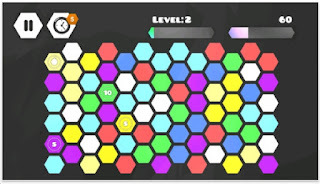 The first 10 levels are free. After that, there are 5 packages of 25 puzzles each and each package costs .99. I solved all the 10 free levels in about 5 minutes. I like the concept. There's a lot of potential here. I would recommend to puzzle app designers: give everybody 50 free puzzles - to really whet the appetites of puzzlers, then sell level packs after that. Puzzling Cubes is a series of 72 sokoban type puzzles by Gordon Roberts. Slide the columns around so that certain square will be covered. When that happens, a corresponding column will shrink, allowing your man to travel over that square. Some wheels must be rolled - until they hit an object. The wheels can only go in 1 direction. Some columns must be pushed off the playing surface. There are holes that must be filled - either with columns or with wheels. Right now, I have solved 52 of the 72 levels. I like this set of puzzles. 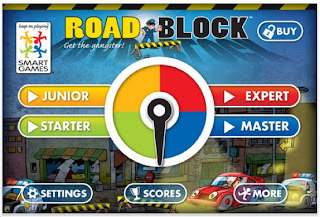 RoadBlock by SmartGames is the official title of this puzzle game app. The brains behind all of SmartGames puzzles is Raf Peeters. 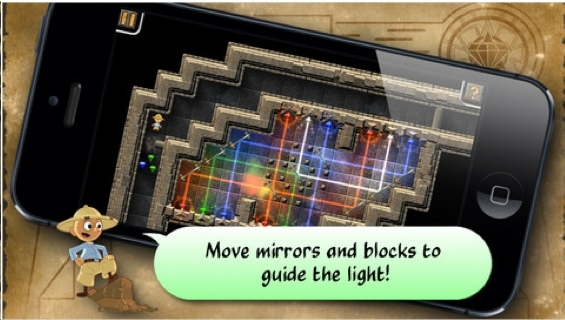 He has designed so many intersting puzzle concepts. In Roadblock, the object is to fill the board with the given tiles so that the red car can not escape. When that happens, the police simultaneously get out of their cars to surround the villain. 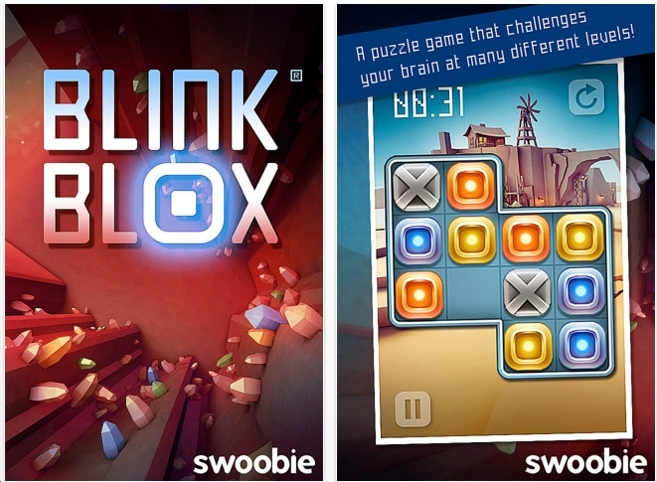 Blink Blox comes from Swoobie. 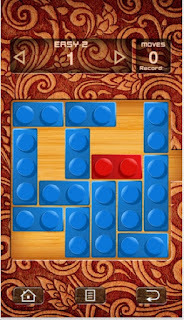 The object is to slide the tiles around so that the blue tiles will form a line and disappear. Then do the same for the red tiles. Some tiles are neutral. 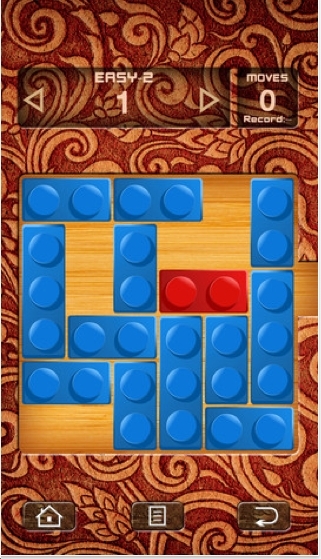 Other tiles cannot move. 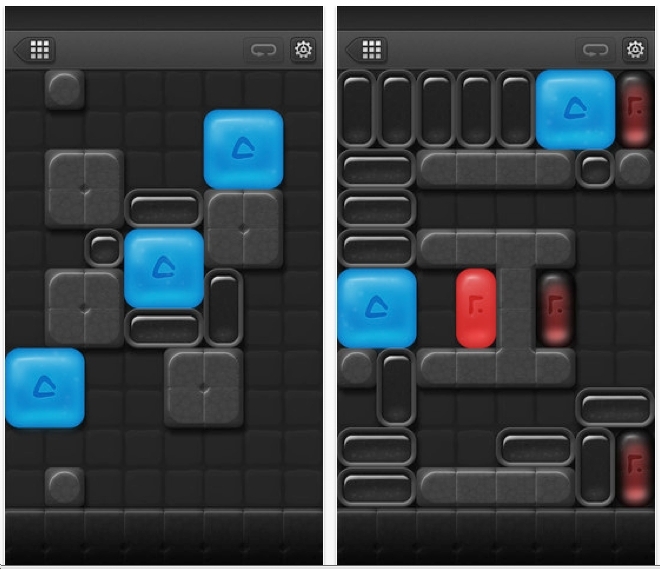 Best feature: some tiles can alternate colors. The free version of Blink Blox has 24 puzzle levels. Each puzzle must be solved within a given time. I like Blink Blox. Give it a try. Knight Moves comes from Ken Wessen. If you're familiar with the famous Knight's Tour problem, you'll like this - it's different. 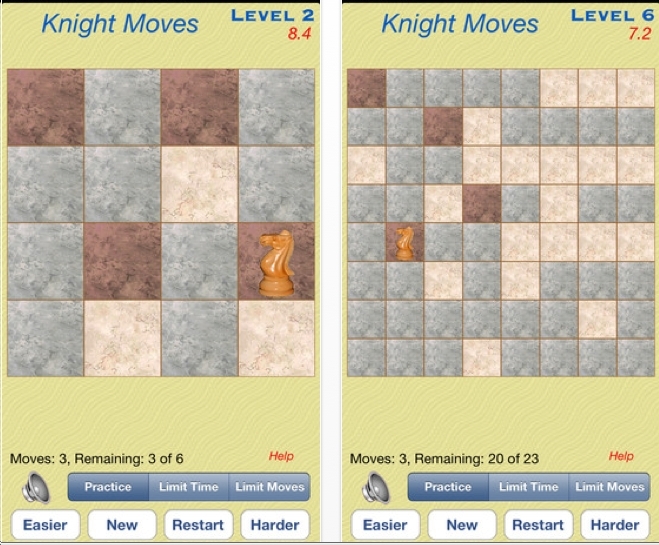 In the Knight's Tour, your objective is to move the knight onto each square exactly once. In this puzzle game app, your objective is to move onto the light squares only! Bas de Reuver recently contacted me to announce that Snake Slider is available for Android devices. Blockwick 101 is another version of Blockwick, which I reviewed about 6 months ago. 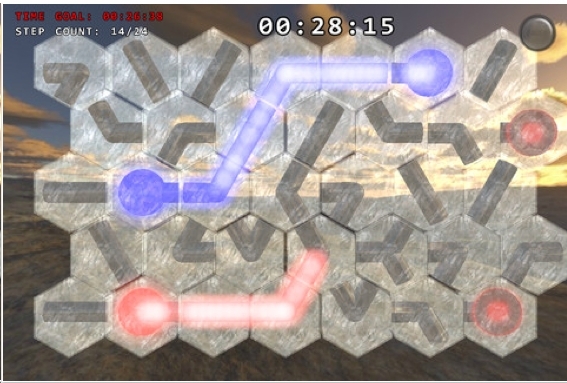 The object is to slide the tiles around so that the colored tiles will touch each other. Look at the image on the right. 1 red piece is glowing - that means it can be moved. The other red pieces will need to be touched by the glowing red piece before they can move. 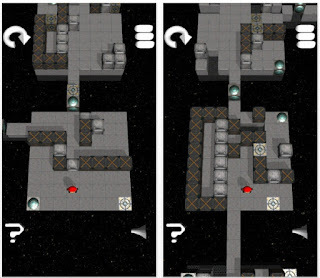 This version of Blockwick has 60 levels. Some of them are easy, some challenging. They're fun! I downloaded the original Blockwick and have kept buying the level packs. The Angel's Cube comes from Ken Tylman who also made Rynglets. More about Rynglets at a future date; it's more complicated. 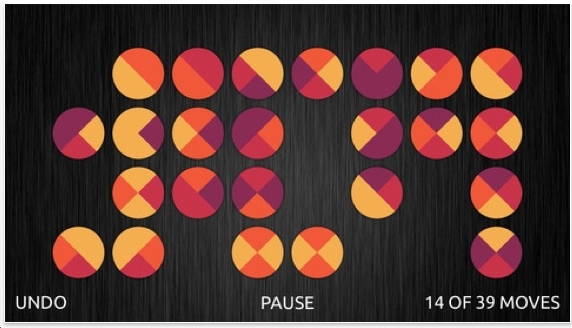 Your task is to rearrange the circles so that the lines will match the shape at the right. Gameplay: the fire circle trades places with an adjacent circle. There are 40 levels. I've done about 10 of them. A few easy, medium & hard levels. I think The Angel's Cube is well done and is fun. Gravox is a free puzzle game app. The object is to manuever the white square to the red square, which stays in place. This is NOT a tilt maze. Look at the image. Notice that right edge is yellow? That's where the gravity force is. Tap once and the bottom edge turns yellow and everything falls down. Tap again and everything falls to the left. And yes, tap again, and everything falls up. Gravox has a lite version. 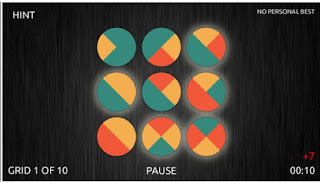 It consists of 5 puzzles - but you can play each of them with difference speeds or G Forces. I have solved all of the free levels at all the G Forces. Except for #5 at the highest G Force. Bottom Line: Gravox is a fun puzzle game app. 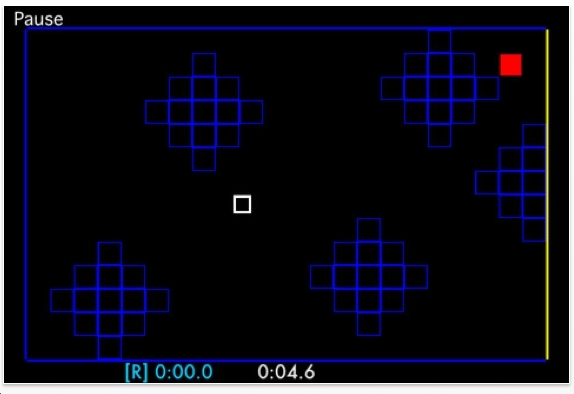 The title of this free puzzle game is Dodge Ball: Simple Fun Free Puzzle Game. 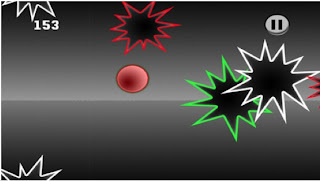 The object is to stay alive by avoiding the spiked twirling stars that come from the right side of the screen. This is NOT a tilt puzzle. You must drag the red circle around the screen. You score points by staying alive. Right now I'm the high scorer with 2800 points. The graphics are a bit boring. At the start of each game, while the spiked stars are hurtling toward you, and ad appears! Click to get rid of it before your man is impaled! Getting past the first 500 points is tough. It seems to get easier after that. Around 2500 points: things speed up very fast. 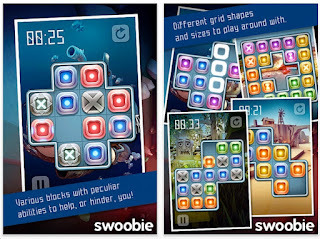 If you like this puzzle game, you will love Lookout Blizzard which I reviewed about 3 months ago. 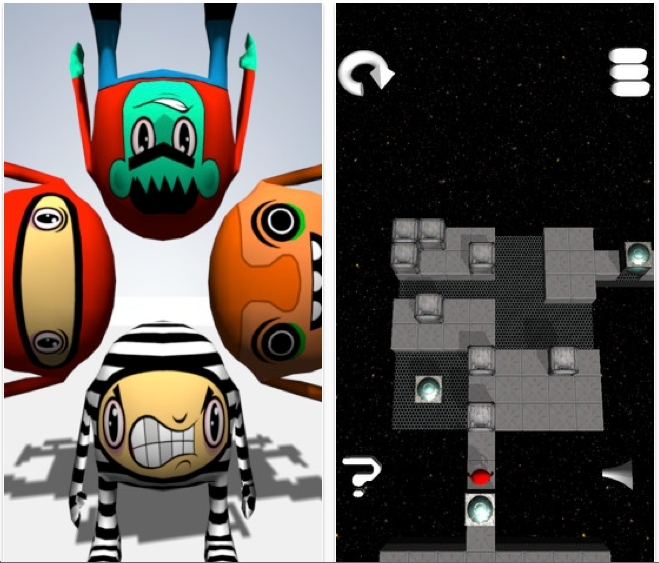 Definitely give Dodge Ball: Simple Fun Free Puzzle Game a chance. In 2012, this blog averaged 505 hits/day. If you Google the phrases 'puzzle app' 'best puzzle apps' or anything like it, this blog always comes up on the first page. Often, it comes up as the very first item. If you are a regular reader, please add a link to your site and sign up as a 'follower'. 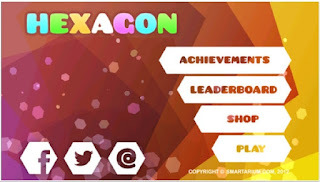 Hexagon Puzzle from smartarium.com is a point scoring puzzle app. 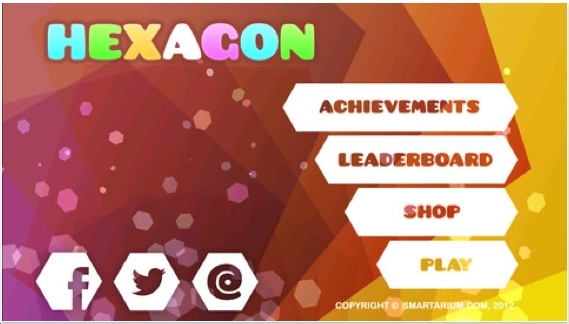 The object is to get matching hexagons in a row. 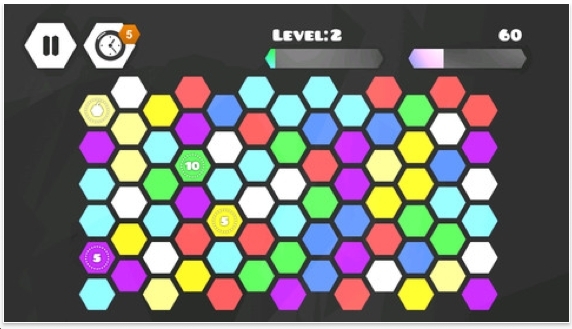 By tapping on 1 hexagon, the surrounding 6 hexagons willy rotate clockwise. I've played the game for about 45 minutes. It's fun.